1886; marine scientist Professor Aronnax and his daughter join Ned Land and the crew of the Abraham Lincoln in search of a mysterious ‘sea monster’ that has been terrorising the oceans. 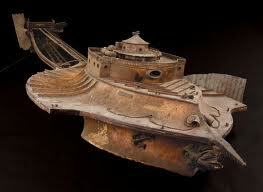 The ‘monster’ is in reality the Nautilus, a submarine belonging to the vengeful Captain Nemo. The Nautilus sinks the Lincoln, though Nemo shows mercy and rescues the survivors. Aronnax, his daughter, Ned Land and two other crewmen are imprisoned indefinitely aboard the Nautilus. Meanwhile, a crew of five Union Army scouts led by Lieutenant Bond are cast adrift in a hot air balloon. They come to ground at Mysterious Island, where Bond discovers the island’s lone inhabitant, a leopardskin-clad feral girl (a “child of nature”). Bond, gives her some soldier’s clothing and persuades her to join his men. Nemo’s crewmen disembark at Mysterious Island. 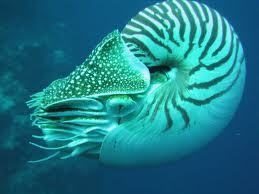 The Nautilus also arrives at the island. Though keeping the ship’s presence a secret, Nemo’s crew rescue a stranded member of Bond’s party and later provide supplies for the castaway soldiers. His compassion aroused, Nemo offers his five captives the freedom of the vessel. He and Aronnax venture out of the Nautilus in diving suits to explore the ocean floor and encounter a group of deadly sharks. In the mean time, Charles Denver, a retired colonial trader, has brought his yacht and crew to Mysterious Island. The guilt-ridden Denver is searching for his illegitimate child, who he had taken and abandoned here after her mother, Princess Daaker, committed suicide.